Data Lake Analytics does not require any ETL tools. This service allows you to use standard SQL syntax and business intelligence (BI) tools to efficiently analyze your data stored in the cloud with extremely low costs. 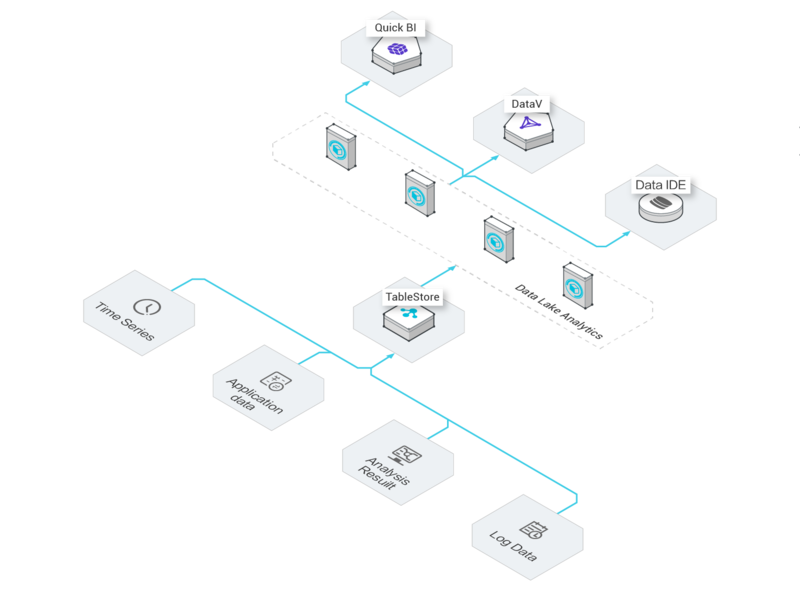 Alibaba Cloud Data Lake Analytics (DLA) is an interactive analytics service that utilizes serverless architecture. As a ready-to-use service, DLA does not require any prior setup of infrastructure or upfront management costs. You do not need to maintain instances in DLA, and service is billed based on actual use and needs. DLA uses SQL interfaces to interact with user service clients, which means it complies with standard SQL syntax and provides a variety of similar functions. DLA allows you to retrieve and analyze data from multiple data sources or locations such as OSS and Table Store for optimal data processing, analytics, and visualization to give better insights and ultimately guide better decision making. Designed as a ready-to-use service, DLA does not require any prior setup of infrastructure facilities, or incur massive upfront management costs. Upgrades to DLA can be performed with zero service downtime. DLA also supports elastic scaling to ensure the quality of services. Complies with standard SQLs and supports a variety of functions, including JDBC and ODBC protocols and BI tools. Cloud native federation analytics across multiple data sources: OSS, PostgreSQL, MySQL (RDS), NoSQL (Table Store), etc. Leverages the new generation analysis engine XIHE and applies MPP and DAG technology to achieve high compression ratio, high scalability, and high availability. 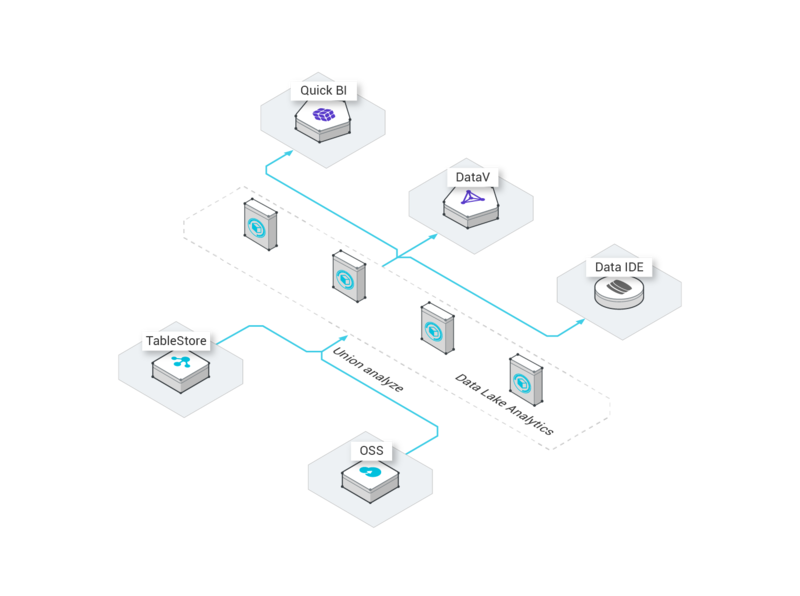 Data Lake Analytics (DLA) utilizes a serverless architecture. This service is easy to manage and upgrade. You do not need to maintain instances when using DLA, which means maintenance costs are greatly reduced. DLA is billed based on actual usage, and you do not need to maintain instances. This means the service does not require long-term investment on data analysis. 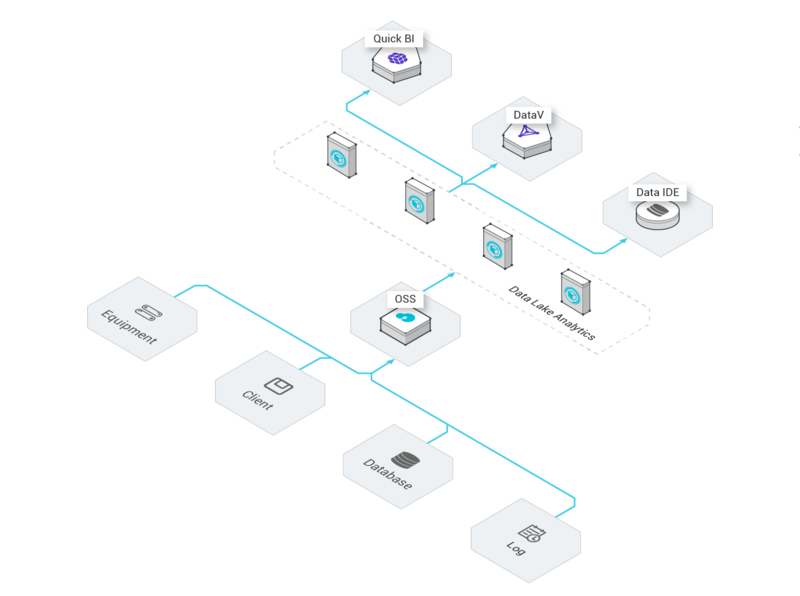 Based on serverless architecture, you can upgrade DLA with zero service downtime for more agile and rapid product iteration. Dedicated account management system, isolated virtual network, etc. Cloud native analytics across multiple data sources: OSS, PostgreSQL, MySQL, NoSQL(Table Store), etc. Support MySQL client tools such as MySQL Workbench, DBeaver, etc. Tightly integrated with QuickBI, Tableau, DataV, etc. Enables you to analyze data stored in OSS. DLA allows you to create tables, query raw data stored in OSS, and then display the query results through Quick BI. You can quickly obtain analysis results without building any analysis platform. You can analyze infrequently used data (cold data) without the need to use ETL tools. Enables you to analyze data stored in Table Store in real time. DLA offers an efficient and easy process for you to analyze large amounts of data stored in Table Store. You can analyze cold data without the need to use ETL tools. You can analyze data stored in Table Store and OSS. DLA supports heterogeneous data sources. It also enables you to perform association analysis by interworking with OSS and Table Store. Supports association analysis by interworking with OSS and Table Store. Enables you to analyze heterogeneous data. View DLA metering and billing methods. How to use DLA to analyze data stored on OSS.